I made one for ted so Annabell had to have one too. 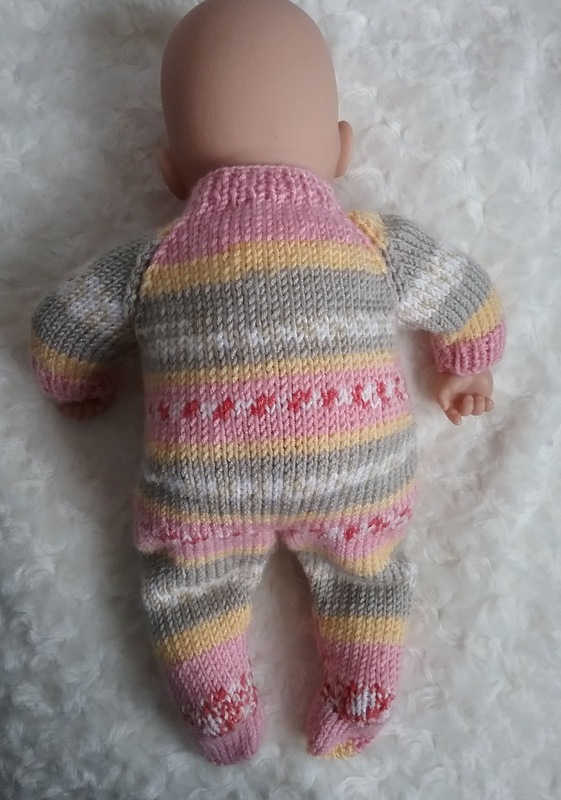 This is an all in one sleepsuit in double knitting yarn, with raglan shaping. The suit can be made with or without feet. Short rows are used to shape the heel, and as Annabell is a ‘sitting down’ doll a lot of shaping is required for a good fit at the back. However, if your doll is not a ‘sitting down’ type which doesn’t need so much shaping, I have added instructions at the end of the body shaping, but, as all dolls are different, keep trying your knitting against your doll as you go. 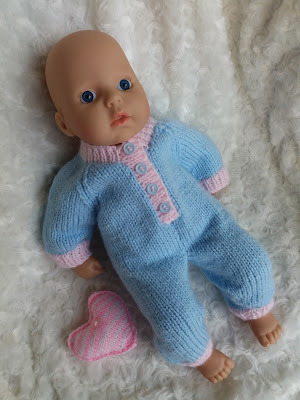 I made the multi colour suit in King Cole Cherish and the blue suit in a double knit yarn I had in my stash. The knitted heart can be found on this site. 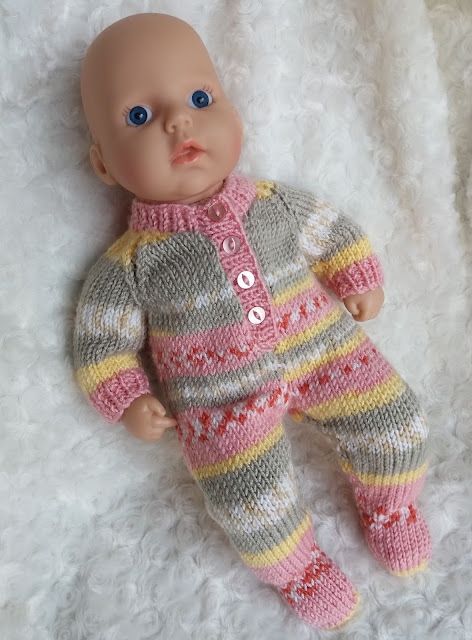 If you find any mistakes in the pattern or have any queries please let me know. A few people have asked me about wrap and turn for the shaping. Here's a good tutorial to explain it far better that I can! With right side facing, using smaller needles, pick up and knit 25sts along right front edge starting at first set of cast off sts to neck edge. Work 2 rows k1, p1 rib. I've added a tutorial on the post because lots of people have asked me and this video explains it far better than i can.